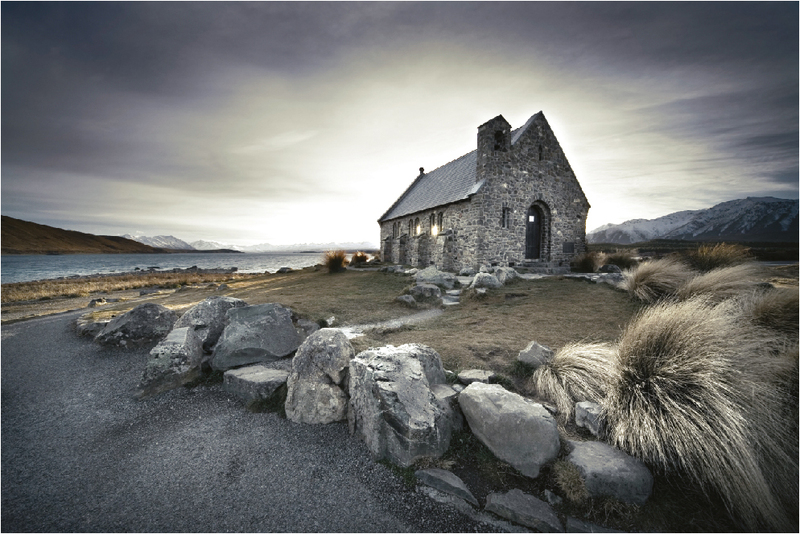 New Zealand consists of two main islands, the North and South Island, separated by the Cook Strait. THE NORTHERN part of the North Island is geographically sub tropical and the southern part of the South island is very close to the Southern Ocean and the sub Antarctic islands. For this reason New Zealand offers a unique cruising experience contained within only 1000 miles of coast line between the two islands. The main port of entry for most superyachts entering New Zealand is Auckland. The vessel can re-provision here having access to all the provisions, wines and delicacies that the chef must be able to provide to the owner. Repairs and maintenance are also able to be carried out. Often the superyacht has just finished a Pacific Island cruise from Tahiti to Fiji with numerous owners or charters on board so the superyacht and crew are also ready for some welcome R + R. From Auckland the itinerary could take the vessel north to the Bay of Islands – Whangaroa Harbour. 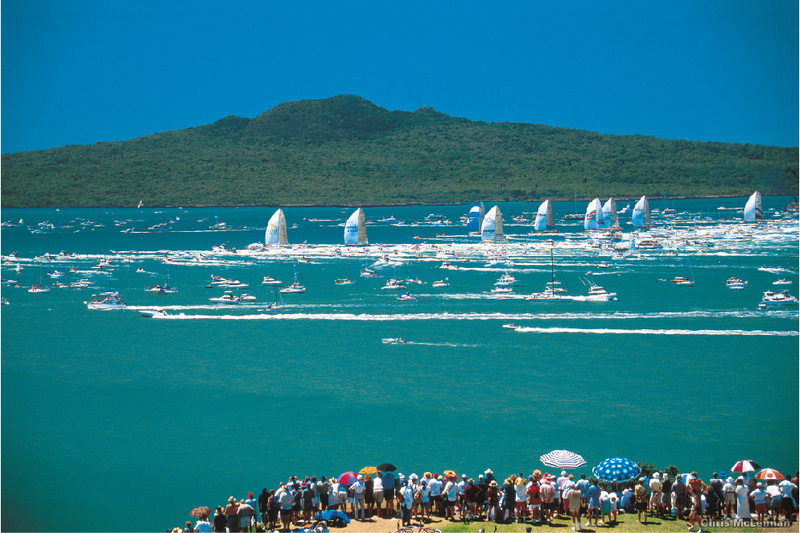 Some yachts enter in the Bay of Islands and have the R+R there before heading down to Auckland, a distance of 120 miles. The weather systems predominantly come from the south eastern corner of Australia; a strong south westerly flow is usual over the spring months September though to December. Tropical cyclones can get down to New Zealand from the Coral Sea area during the summer months. For the New Zealand summer – December though to April – large high pressure systems can dominate the country giving settled weather with light north easterlies. Most superyachts plan to move north during May and often make Fiji the first port of call being only 1250 miles away, and with a good weather forecast it usually is a comfortable trip. The cruising grounds of New Zealand can be divided into three main areas; North and East of Auckland. Marlborough Sound, including Golden Bay and Abel Tasman National Park. West coast of the South Island, Fiordland, south to Stewart Island and the Banks Peninsula on the east coast. From the northern tip south down the east coast to Auckland and east to Great Barrier Island and the Mercury Islands. This is a vast area with numerous excellent anchorages and places to explore. It really deserves two different cruises. Travelling at a leisurely pace a three week cruise from Auckland up the coast to as far north as Whangaroa harbour, a unique land locked anchorage with many bays opening up inside for a quiet remote anchorage. The second cruise south with possibly a second set of guests would re-visit the Bay of Islands and then once departing head overnight to Great Barrier Island, excellent anchorages, walking tracks, diving, beaches and exploring. 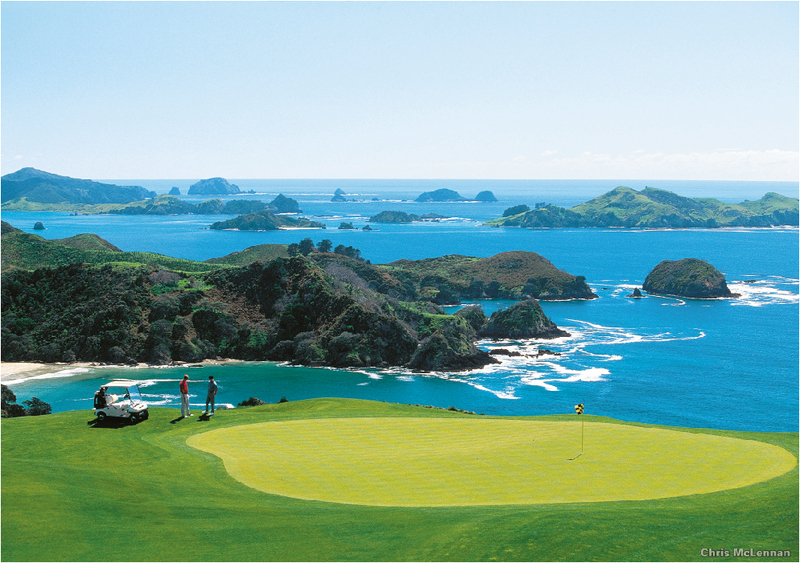 From here the Coromandel Peninsula is just 10 miles away with golden sand beaches and remote anchorages. The third cruise, after another guest change if necessary at Great Barrier Island, could take you further south again down the east coast to the Mercury islands, excellent fishing for the enthusiast, diving and the small town of Whitianga where re provisioning can be done and shore excursions organised. From Whitianga the cruise back to the northern tip of the Coromandel Peninsula is a few hours and then an overnight in the historic gold mining town of Coromandel. From here across the Firth of Thames to the island of Waiheke, vineyards, white sandy beaches, and restaurants await you. This island is only 10 miles back to Auckland so makes a good final destination before heading back into Auckland and preparation for the adventures of the South island. Careful consideration should be given to the route south, the most obvious by looking at a chart would be down the East coast, although this often can be a big mistake, and once around East Cape the trip down to the Cook Strait can be notoriously bad. The actual distance to go north around Cape Reinga and then down the West coast is actually about the same. With the correct weather pattern the West coast choice is preferable to the east coast. While the boat transits, approx 48 hours, guests can move ashore and explore the interior of New Zealand, top quality hotels and lodges, trout fishing and many other activities can be enjoyed while the yacht makes it way to Wellington, the Capital of New Zealand. Excellent provisioning can be found in Wellington and fueling available, and guests can re-join the yacht here. Picton Harbour which is a small seaside township at the top of the South Island is aptly named “The gateway to the Marlborough sounds.” It is an easy place to get to being the port where the inter-island ferries commute to Wellington. Blenheim is 25 minutes drive and is the best known wine-growing area in New Zealand.Helicopters can land close to the Marina and Blenheim can accommodate private jets. 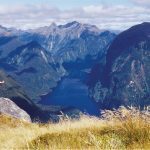 Guests may chose to see other areas in this region such as the west coast of the South Island, Nelson or Kaikoura, well known for whale watching being its major attraction. If it was decided the guests would like to start their charter in the privacy of one of the outer islands in total seclusion, the helicopter is ideal for this purpose. The Marlborough Sounds is made up of 1760 kms of coastline. The Sounds are a remarkable visual fusion of land, native bush and sheltered waterways, and are blessed by the sunniest climate in the country. There are three main sounds being The Queen Charlotte, the Kenepuru and the Pelorus Sounds. At the outer edge of these sounds there is a lovely island called D’urville which has two natural harboars. If guests wish to really extend themselves, from this island to Tasman Bay is a sail of approximately four hours, which is quite adventurous given that you go across a large bight, but never losing sight of land. 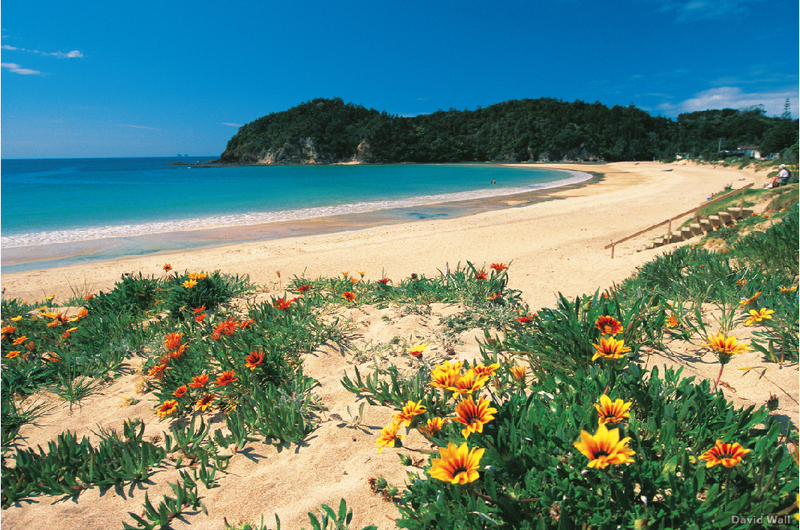 Tasman Bay is famous for its golden beaches, warmer waters and the Abel Tasman National Park Walkways. In the Queen Charlotte Sound there is a lot of history. Captain James Cook, who discovered New Zealand, came to Ship’s Cove five times to clean and provision his ships, where there now stands a memorial monument. There are several bush walks, some short while others can be up to 4 – 5 hours around this area. Next to Ship’s Cove is Motuara Island, which is a bird sanctuary and has a lookout at it highest point giving excellent views of the Sound and on a clear day you can see the North island. Motuara has a high abundance of bird life including nesting penguins. Next to this Island there is a fish sanctuary called Long Island, and if one is keen on diving or snorkeling this is a must. If guests decided to go in to the other two sounds they also have lots to see and do. A large proportion of New Zealand’s green lipped mussels are grown in this area and there is good fishing in the outer reaches of these sounds as well. 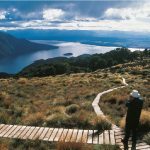 If one was designing an itinerary for seven days and given suitable weather conditions a charter could cover all areas of the Marlborough Sounds, D’urville Island and Tasman Bay. But this would involve increased travel time, where as one could equally spend seven days in the Queen Charlotte Sound alone and be fully occupied. Diving – An interesting dive is the Russian Cruise ship “Mikhail Lermontov” which was a regular cruise ship visitor to New Zealand waters. She sank on 16 February 1986 at Cape Jackson near Picton due to a pilotage error, with the unfortunate loss of one person. Track conditions vary so sturdy, comfortable boots or shoes that have been well broken-in are a must. A guide can be provided to accompany guests on shore if so desired. The run from Picton down to Milford Sound is approx 350 miles. Often for this leg the guests go ashore and explore the interior of the South island while the yacht makes the passage. 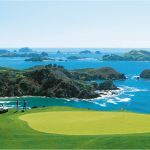 There are many up-market lodges to choose from and things to do from fishing, walking tracks, golf, vineyards, horse riding and many other activities. The most spectacular way to re-join the yacht in Milford sound is by helicopter. This takes you over the Southern Alps, alongside glaciers and then down into the Milford Sound. 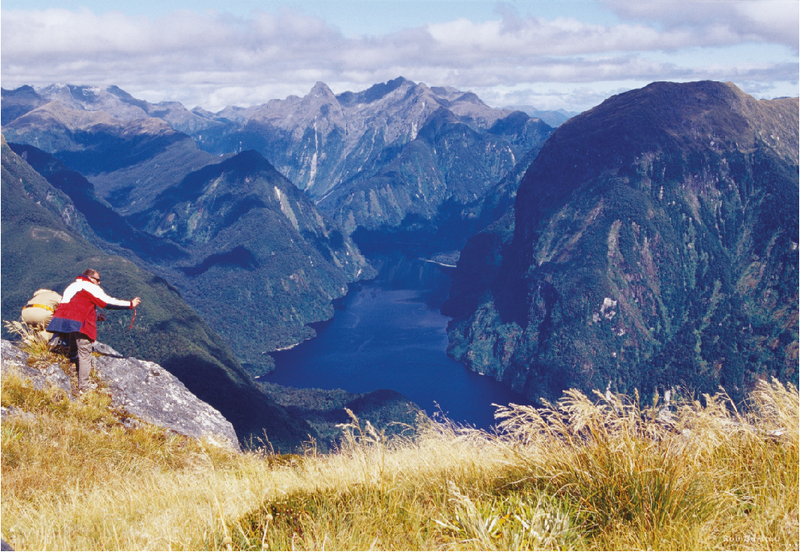 After leaving Milford sound the remote and wild Fiordland stretches to the south west corner of New Zealand. Cruising in this region demands careful planning and great respect. The deep and narrow sounds and extensive valleys, surrounded by glaciers are an incredible sight. The area is abundant with spectacular waterfalls, and sometimes the yacht can get under the actual fall! This area is totally inaccessible by road, again as in Milford the use of a helicopter to meet you on one of the secluded beaches and take you exploring through the mountains is an experience that will stay with you, then re-join the yacht at a different location up one of the many fiords and continue down the coast. On rounding the southern tip of the South Island the cruise across to Stewart Island is 70 miles. As this area can be the roughest wind torn space of water in the southern hemisphere, it is important to pick the weather for the crossing, most of the time it will be a south westerly air flow, but often these fronts come up from the southern latitudes and can be very fierce. 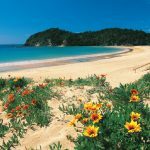 Stewart Island is very quiet, and as 85 per cent of the Island is National Park, its clear green waters and lush rainforest, sweeping sands and Flora and Fauna is a protected experience for all to enjoy. 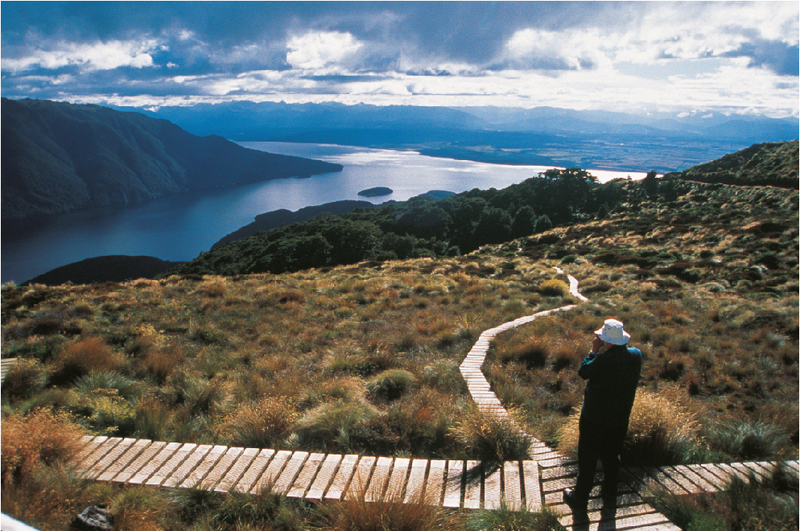 Numerous parts of the island are bird sanctuaries and the New Zealand “Kiwi” can be found here. The area has an abundance of wildlife, walking tracks and fishing. Bird watchers from all corners of the globe visit Stewart Island for its uniqueness. The main harbour and town is Oban, a very quiet little fishing village that has all the necessities for a short stay on the island, and there is a regular air and sea service to the town of Bluff. From Stewart Island the really adventurous could head south to the roaring Fifties and Sub-Antarctic Islands. Sitting below 50 degrees south and approx 200 miles south of Stewart Island, this is truly an adventure for the experienced yachtsman, the area is abundant with sea life, and it has been described as the “Galapagos of the Southern Ocean”. The anchorage in the Auckland Islands is completely land-locked with excellent protection. For the treasure hunter looking for the shipwreck full of gold – this is the place. The wreck of the “General Grant”, a fully rigged ship of 1,103 tons, London bound from Melbourne in May 1866, is there after she crashed into the towering cliffs on the west coast of the main island of the group. Her manifest included wool, skins, pelts, and spelter, but it was the gold bullion in her cargo which persuaded shippers to insure it for £165,000. From Stewart Island heading north it is 150 miles to Dunedin and then a further 150 to Banks Peninsula, is the harbour of Akaroa. 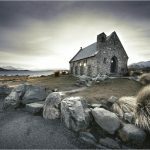 This is a one hour drive from Christchurch which is an attractive area with lots of festivals, art galleries, museums and yes, churches. Christchurch was first settled by the French in the 19th century before New Zealand was officially claimed by the British. Even today you find the main streets retain their French heritage and some of the early forms of architecture relate to those early days. Often regarded as the Riviera of Christchurch for its bays and cobalt blue waters, Akaroa is a major vacation and weekend retreat. The final destination for the guests could be Stewart Island or Christchurch, providing the weather is settled the run up the east coast from Stewart island to Akaroa could be very enjoyable. Private jets can land at most of the major airports in the South Island and there is regular air service to Auckland.